As I think back to my childhood (trying not to make myself sound as though I was born in Victorian times) I remember several house callers who came on a regular basis. There was the coal man, bringing coal and filling our coal bunker in the back garden; the milkman bringing milk in glass bottles and taking away the empty bottles – recycling 1960s style. And the chimney sweep would call periodically, to sweep the chimneys. I realise this makes my household sound a little like ‘Mary Poppins’, but the ‘real fires’ led to a lot of soot which needed cleaning out! I don’t have any photographs of these workmen, but I do have a picture of me dressed as a chimney sweep for a local fancy dress competition. The brush looks very authentic and I wonder where my parents got it from? Maybe they borrowed it from the chimney sweep, I’m sure they can’t have had their own brushes! 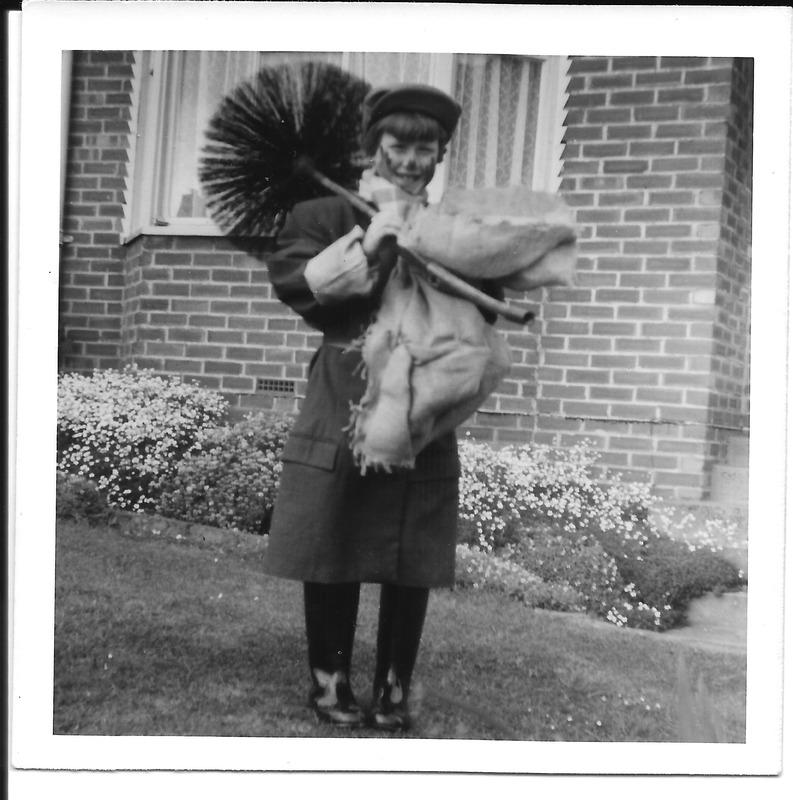 This entry was posted in jackiedinnis and tagged chimney sweep, Fancy Dress Competition, Occupations, Woodingdean. Bookmark the permalink.